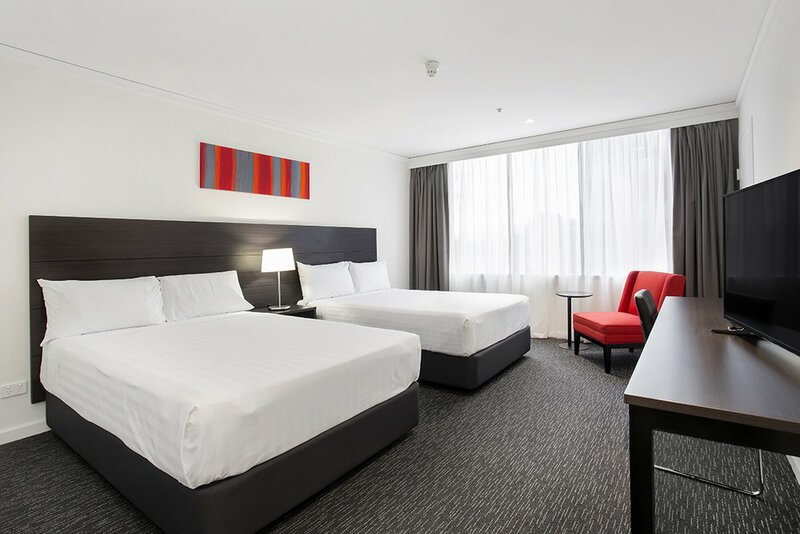 Last year we were contacted to work on a new type of project, the fitout of 180 rooms at the Bayview Eden Hotel in St Kilda. With measuring tape and catalogue in hand, we were ready to take on this new challenge and show our full potential. All rooms were fitted with custom bedheads and bed side tables. Our Uno tables and black Byte side tables were also used in every room complimenting nicely the colour scheme. The combination of deep wooden tones and bright reds results in warm and inviting rooms for guests for many years to come. 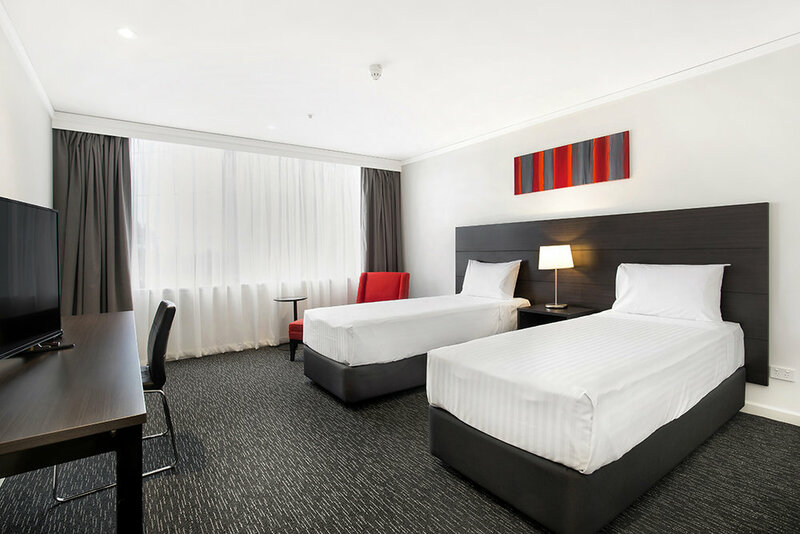 From office space to hotel fitout, contact us for all your needs or visit our South Melbourne showroom, we are ready for our next challenge!